Here is a luminaria that is shaped kinda like a UFO. This one gets a lot of comments when people come over to the house. The way to assemble it is to fold all of the dashed lines toward the "good" side of the paper, then glue the tabs to each other following the image. 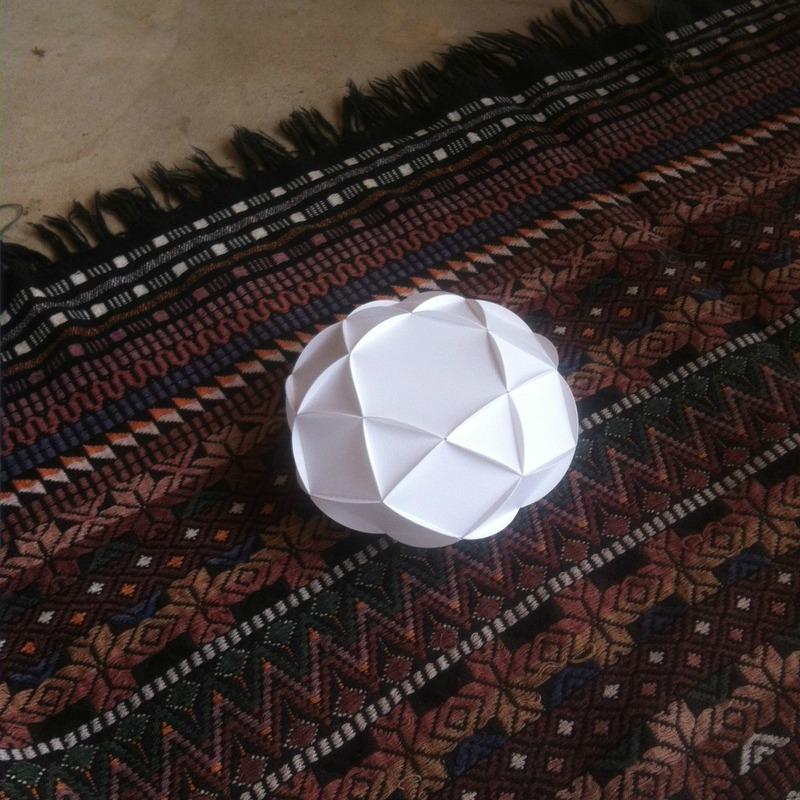 Start with the hexagon on top, proceed to the six triangles, then the six fat rhombi, then the six skinny rhombi, and so on until the last piece you put in is the bottom hexagon (which has a hole in it for an LED tealight). Very nice, thanks for sharing your file. Neat - thanks for sharing. Thanks for sharing the file. Cute! This is too cute! Thanks. TFS..WOW, must have been so much work....I cannot wait to try it. my first ones took a long time, but now i'm getting pretty good at it! i'll be posting some more later. Dwak (that's Martian for "thanks".